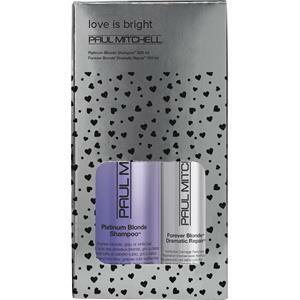 Paul Mitchell Aktionsartikel Sets Blonde Holiday Gift Set Duo Platinum Blonde Shampoo 300 ml + Dramatic Repair 150 ml 1 Stk. Paul Mitchell Aktionsartikel Sets Blonde Holiday Gift Set Trio Forever Blonde Shampoo 250 ml + Forever Blonde Conditioner 200 ml + Forever Blonde Dramatic Repair 25 ml 1 Stk. Paul Mitchell Aktionsartikel Sets Classic Holiday Gift Set Trio Awapuhi Shampoo 300 ml + Sculpting Foam 200 ml + The Detangler 300 ml 1 Stk. 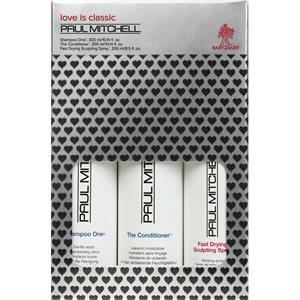 Paul Mitchell Aktionsartikel Sets Extra-Body Holiday Gift Set Duo Daily Shampoo 300 ml + Sculpting Foam 200 ml 1 Stk. Paul Mitchell Aktionsartikel Sets Extra-Body Holiday Gift Set Trio Extra-Body Daily Shampoo 300 ml + Extra-Body Daily Boost 250 ml + Extra-Body Daily Rinse 300 ml 1 Stk. Paul Mitchell Aktionsartikel Sets Geschenkset Anti-Thinning Shampoo 100 ml + Anti-Thinning Conditioner 100 ml + Anti-Thinning Tonic 50 ml 1 Stk. Paul Mitchell Aktionsartikel Sets Kids Holiday Gift Set Trio Baby Don’t Cry Shampoo 300 ml + Taming Spray 250 ml + Whale Bath Toy 1 Stk. 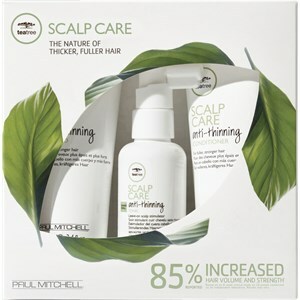 Paul Mitchell Aktionsartikel Sets Original Holiday Gift Set Duo Awapuhi Shampoo 300 ml + Sculpting Foam 200 ml 1 Stk. 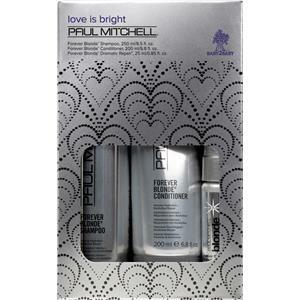 Paul Mitchell Aktionsartikel Sets Original Holiday Gift Set Trio 1 Stk. Paul Mitchell Aktionsartikel Sets Straight Works Duo 2 x Straight Works 200 ml 1 Stk.